Washington – Vice President Mike Pence will visit Auschwitz, his first visit to the Nazi death camp in Poland. Pence will visit the site on Friday with Polish President Andrzej Duda, The Washington Post reported Tuesday, citing a senior White House official. 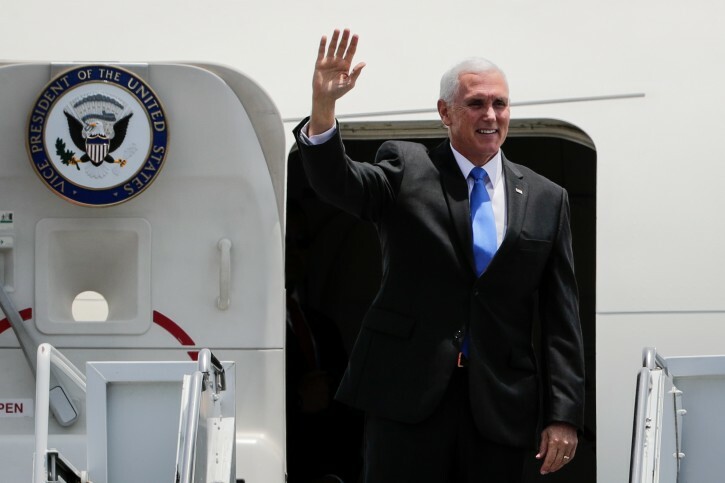 The vice president will be in Warsaw for a joint U.S.-Poland conference on Middle East peace and security on Thursday and Friday. On Sunday, Israeli Prime Minister Benjamin Netanyahu told government ministers at the weekly Cabinet meeting that he will meet with Pence there, as well as Secretary of State Mike Pompeo and other leaders. Pence and Netanyahu are scheduled to visit together a memorial to the 1943 Warsaw Ghetto uprising. Pence also is scheduled to hold defense meetings in Poland, where the U.S. military is considering placing a permanent base for U.S. force, according to the Post. Israel-Palestinian peace deal architects Jared Kushner and Jason Greenblatt also are scheduled to attend the conference. The Palestinian Authority is boycotting and calling on Arab governments to follow suit.